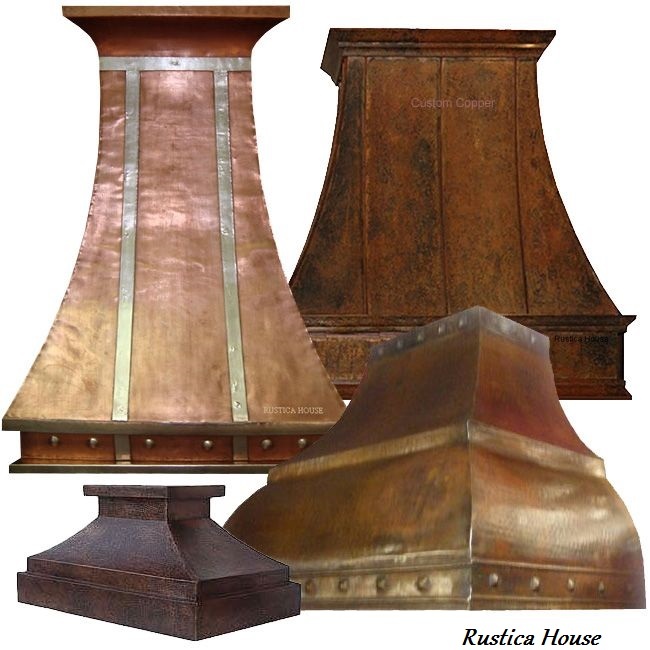 Click the button below to add the Copper Range Hood '0124' to your wish list. Antique finishing of this exhaust copper hood makes it especially appealing for a traditional country kitchen. Hand made in wall and island version the hood can be supplied insert ready. Select $200 custom work option to have it customized for a specific ventilation equipment. Choose to personalize it honey, coffee, antique or natural patina. Honey is the most uniform with little tone variation. This exhaust copper hood for a kitchen range can be supplied with an economy ventilator, light and filter. It takes about a month to deliver.